Earlier last week as I was snooping in the internet for whats new and trending, i came across a topic that has always fascinated me ever since I became a web developer. For years i have been thinking of the best way in which I could implement a LMS ( Learning Management System ) that would be easy to setup, productive and user friendly in a way that the user will be more in control of the content they offer online. And boy oh boy was i amazed when i stumbled on Docebo! First let me put down some basics on this topic because seriously, am so excited and I actually do not know where to start or how, but I will try my best to keep it very simple. Now, E-learning allows online courses and training delivery with realtime tracking of training results, optimizing time and costs of traditional learning methods. On the other hand LMS Learning Management System, is a learning software designed to deliver, track and certify online courses and training. It has always been my dream to develop such a software and i believe I will but in time, so for now I prefer to work with what has been developed, and need I say, there are many out there but these guys at Docebo raised my eyebrow, WHAAT! Docebo offers a complete E-Learning solution. Easy to use LMS to manage, deliver and track ILT and WBT activities. 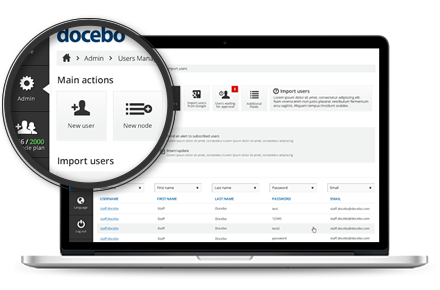 Docebo allows organizations of all sizes to implement a cost-effective and features-rich LMS. Docebo is made available to global clients in 25 languages. These guys design and develop pedagogically sound multilingual E-Learning courses, SCORM and Tin Can compliant. Their Serious Games engage the students and enable immersive approaches in real-case scenarios. 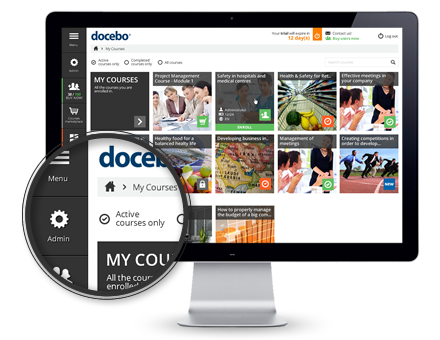 Docebo supports its customers throughout all the steps of their E-learning project. From start to implementation, and in post-sales, our Senior Experts provide: guidance, methodology, monitoring and reporting. Docebo has a solid track of experience in key markets such as energy oil and gas, fashion and luxury, healthcare and pharmaceutical, retail service, automotive and manufacturing. Feature rich inteface, yet easy to go! Make money out of your online courses! Start synchronous Training within minutes. Now there you have it, in a nut shell, an awesome product from Docebo! You can of course contact us if you need to have more insight on this product or you could go directly onto the website www.docebo.com and learn on how well you can integrate this amazing product into your business or enterprise. KayTouch Solutions will also work with you, technically speaking to see to it that this product works in your chosen environment. By using the Docebo Advanced Programming Interfaces, your technical team will be able to integrate the Docebo E-Learning platform with any kind of software or application. Facebook, twitter, linkedin, google apps, e-commerce, wordpress, google analytics, custom domain, vivocha live help, big blue button, adobe connect, cisco webEx, Goto Meeting, OnSync, Teleskill and joomla.